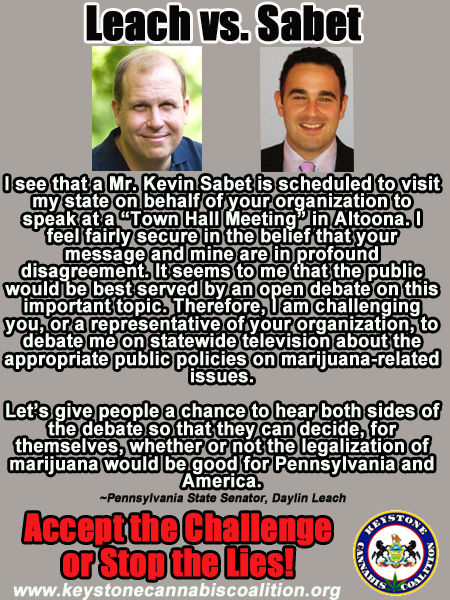 State Sen. Daylin Leach (D-Montgomery/Delaware) today sent an open letter to former Congressman Patrick J. Kennedy, founder of Smart Approaches to Marijuana, inviting him to publicly debate marijuana policy. Leach is the prime sponsor of Senate Bill 528, which would legalize marijuana in Pennsylvania. He is the co-prime sponsor of Senate Bill 1182, which would regulate medical marijuana in the Commonwealth. Kennedy’s group opposes these measures and has fought policies like these across the United States. See letter and full article here.